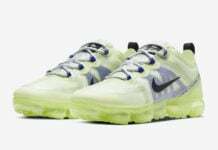 2019 will bring us another Nike Air VaporMax hybrid. 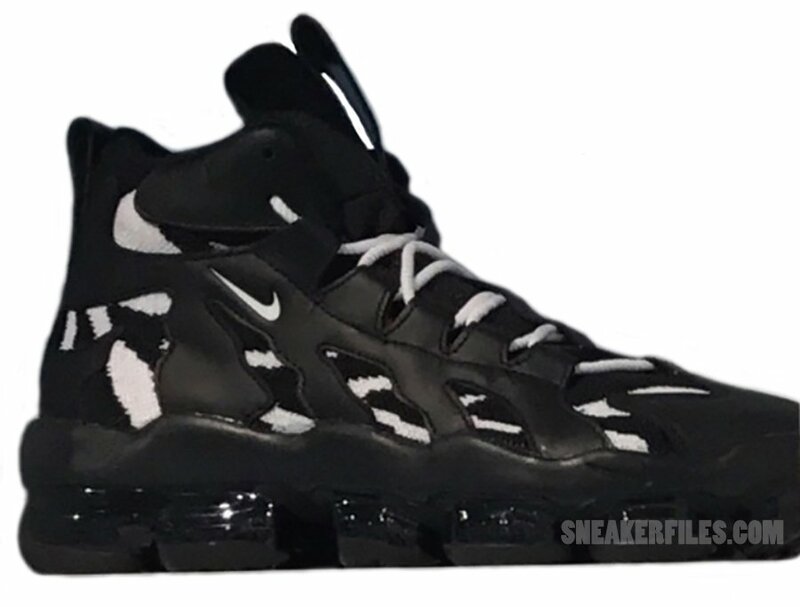 This time around the brand will collide the classic Nike Air DT Max 96, originally worn by Deion Sanders with the VaporMax and release the Nike Air VaporMax DT. 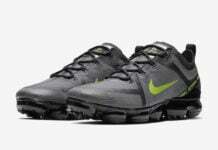 Part of the Diamond Turf series, as you can see the upper is taken from the DT Max 96 while a VaporMax Air unit is used. 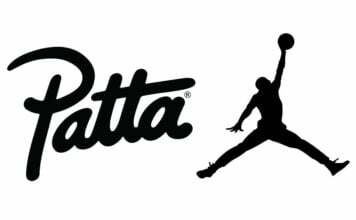 So far we have a preview of two colorways, one in Black and White while the second is dressed in Gold, White and Black. 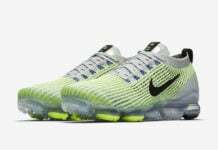 While a specific release date or retail price has yet to be announced, the Nike Air VaporMax DT will release during Spring 2019. Once we have more information, we will make sure to update you. 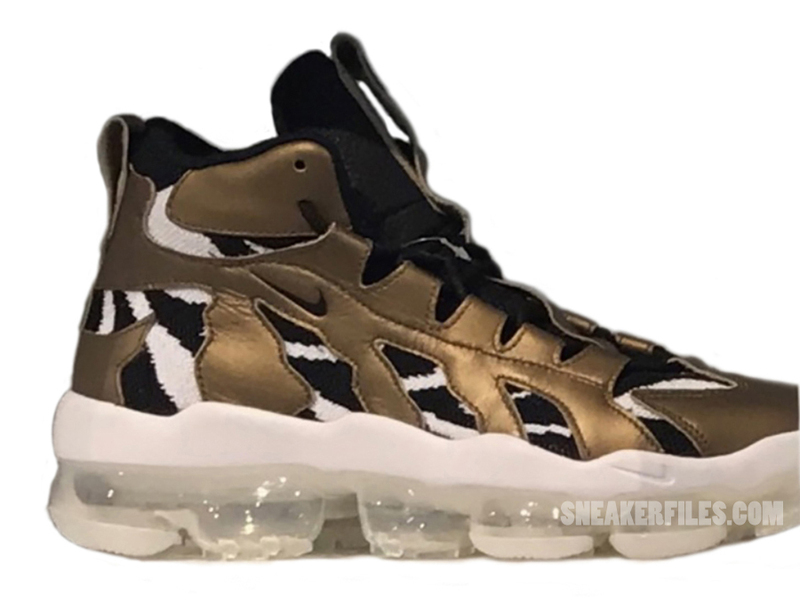 Check out a few more images showcasing both colorways below. 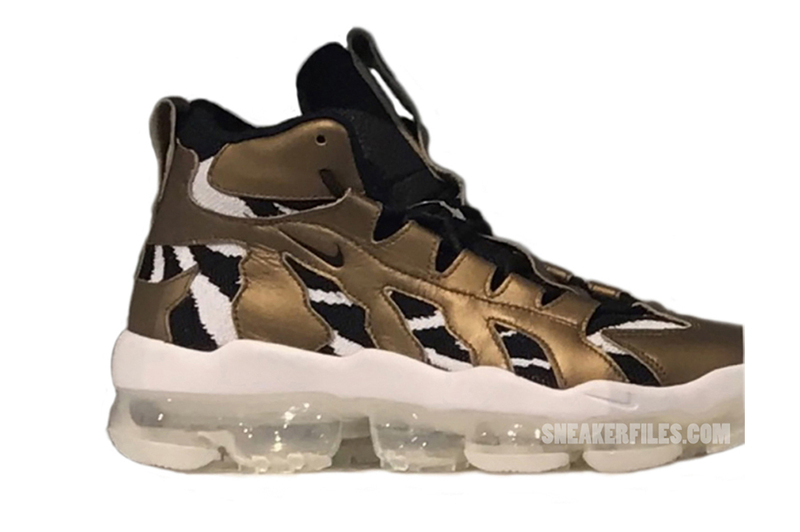 Update: Nike has officially changed the name of this model to the Nike VaporMax Gliese.